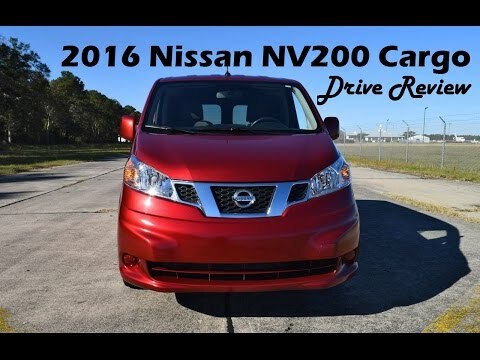 The 2016 Nissan NV200 is a small cargo van that can carry an impressive amount of goods at a low price. Starting less than $22,000, it is the value player among rivals like the Ford Transit Connect and Ram ProMaster City. But the NV200's lineup is more limited, and its 4-cylinder engine isn't rated to tow. Lots of cargo space for a small cargo van. Blind spots on left and right sides of windshield where. Sides meet with side windows there is a solid angle. That obstructs views as a driver on passenger side - most especially with stop signs - oncoming. Cars or crosswalks. Seat belt guide poor design- always getting bound up. - should not have a cut out. In the middle which allows it to jam. Luxurious. Has all the amenities. Power everything. Plus it looks cool. Everything I want in a car.Great styling. All wheel drive. Luxurious interior. Full power everything. Bluetooth connection.